The fourth solo outing for singer songwriter O Caoimh continues where his previous efforts left off. This is a collection songs that belie their often ‘lightweight’ production with hidden depths or lyrical touches that make the listener sit up and take notice. 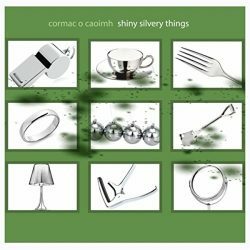 On the back of the wave of positivity concerning his last release not least from this very website (‘this album is a tour de force’) O Caoimh has his work cut out – not many artists have more than one tour de force in their careers. This reviewer can but think of a couple, if that. The album continues, always putting vocals front and centre over some deft instrumentation and the quality of songwriting set at the good to very good mark. Is the title track the breakout song that lifts O Caoimh out of the shadows and into the mainstream? Probably not. Too idiosyncratic but one of his songs will. One day very soon. Tour de force? Probably not either, but consistently good and evocative – for sure!